On Saturday 1st December, St George’s members and friends enjoyed a fun-filled night of traditional party games and food in St George’s Church Hall. The party is an annual event and is enjoyed by people of ages. 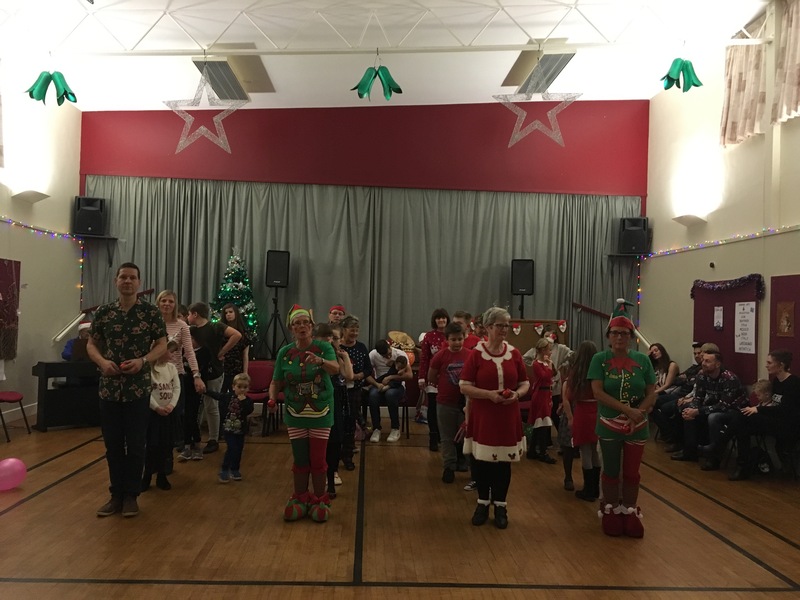 Around 80 guests arrived in style wearing their Christmas jumper, hat, dress, outfit or apron and of course the children enjoyed a visit from Santa too. Thank you to everyone who participated and to all those who helped make it happen. Check out the photos from the party in The Gallery or on Facebook.